Framing: the structural framework of wood trusses designed to bridge the space above a room and provide and support the weight of all the materials used to build your roof. Roof Deck: the roofing material that sits on top of the roof trusses, often made from sheets of plywood. Eave Drip Edge Flashing: perimeter metal flashing installed to protect raw edges of roof deck from water penetration. Underlayment: a water shedding membrane that is usually made of felt or fiberglass paper that covers the entire roof deck, preventing the passage of water to the underlying layers of the roof system. Ventilation: located at specific points throughout the roof, attic vents encourage air movement up through the roof system, allowing warm, moist air to escape. Flashing: an impervious material used to cover, waterproof and direct water away from penetrating seams where different materials meet on the roof. Eave Riser/Bird Stop/Eave Closure: a strip of metal under the concrete roof tile that prevents wildlife intrusion while providing proper rise for the eave course (first row of tile) for flat tiles and closes the convex opening below the eave course for barrel profiles. Concrete Roof Tile: made from sand, cement and water, concrete roof tiles are an interlocking roof covering material that are available in various surface appearances, edge treatments and profiles/shapes to emulate other popular roof coverings while providing added benefits in energy efficiency, sustainability and durability. 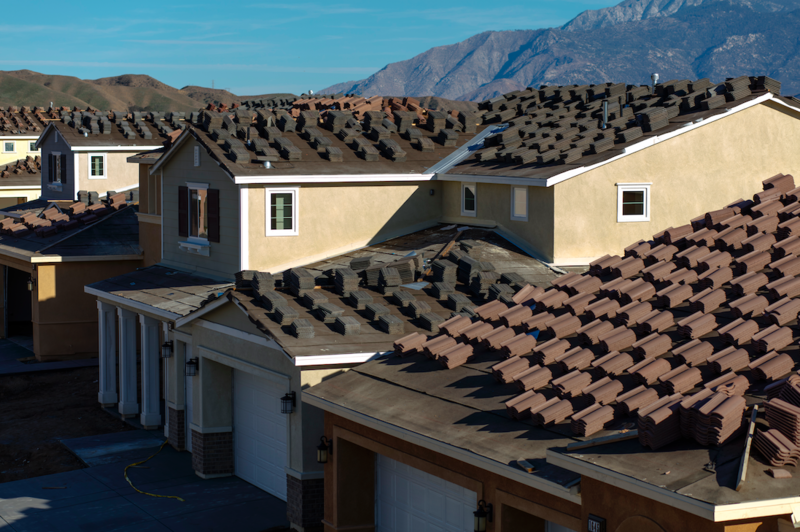 For more information on the layers of a concrete tile roof, additional components used and how they are installed, visit the Tile Roofing Institute or contact your local Eagle Account Representative.